Celebrate the season with Santa on our stage, an elegant plated dinner, or even a weekday holiday happy hour! 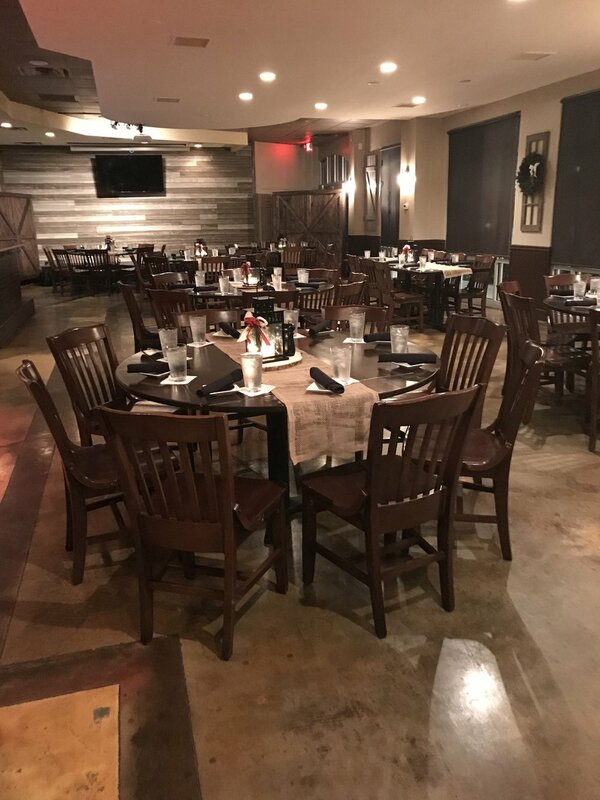 The Event Room features a private bar, private bathrooms, private entrance, and NO ROOM RENTAL FEE! The Patio is ideal for a more intimate holiday gathering. This private space seats up to 50 guests, and is temperature controlled with heaters during the cooler months. Host a holiday dinner for family and friends to celebrate the season. At Houck's we have the pleasure of being able to offer complimentary decor for all of our events. We have created elegant, rustic, holiday decor that comes with each of our private rooms. We like to keep it simple, yet festive, here at Houck's!